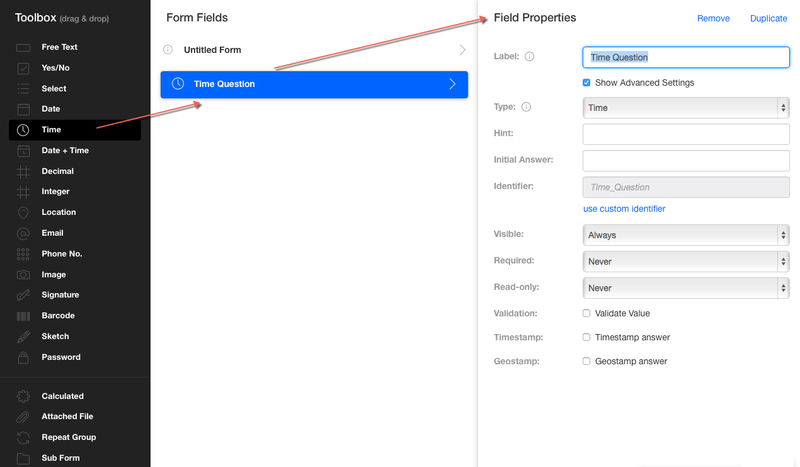 The Time Field is used to accept data based on time. On open, the time displayed is the current time of the device. This allows you to give a hint to help people answer a specific question. A default answer provided by you. How the field is identified in the form (the name of the field).